"If it's Christmas it must be cranberries..." - Nigella Lawson in her book, Feast. I like to bake something with cranberries for our Christmas... and crave to bake cranberry white biscotti for my bake-along with Joyce from Kitchen Flavours and Lena from Frozen wings. As mentioned in my previous biscotti bakes at here and here, I like biscotti because there is no fat added but now, I have a confession to make... I actually like biscotti the most when they are baked with butter!!! Argh!!! I know that this is not the typical health freaking me!!! ... but this is truly my honest opinion. I have tasted biscotti that contains added butter and I have to say that I really like its buttery texture as compared with the ones with no added butter. Shame on me??? Opsie! 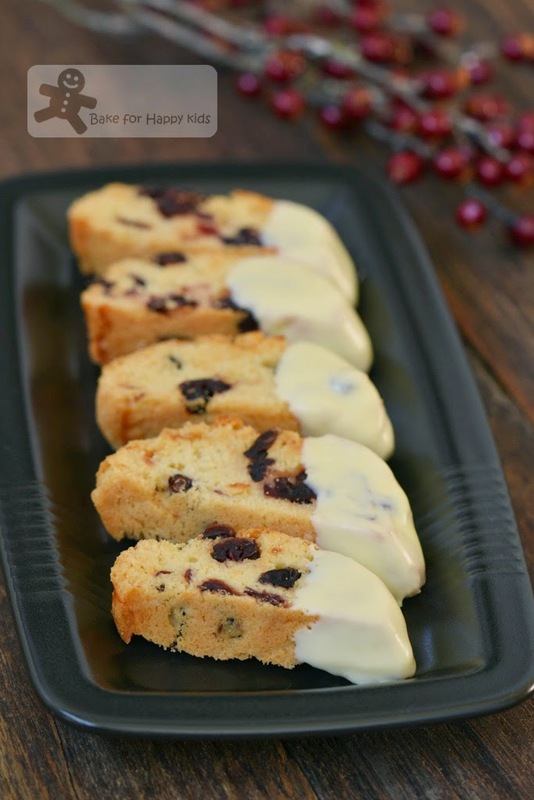 To satisfy my craving, I have been searching for the most ideal cranberry white chocolate biscotti recipe and tried to modify an amazing buttery biscotti recipe that I know (from the book, Great Coffee Cakes, Sticky Buns, Muffins and More by Carole Walter) by adding dried cranberries. Nay! It didn't work as I was baking delicious buttery crumbs instead of biscotti... LOL! Lesson learnt, not all biscotti recipes that contains butter can baked very well with dried fruits like dried cranberries and raisins!!! Then, I found this highly reviewed and rated recipe at Epicurious. This recipe is pretty fail proof in the way that the dough is brushed with a layer of egg white to prevent it from falling apart after its first bake. Phew! 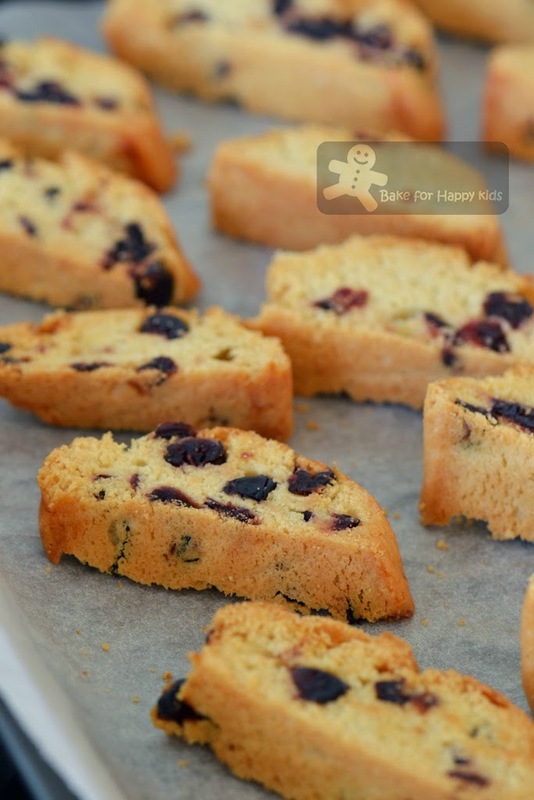 Here I am happy that I have managed to bake these buttery cranberry white chocolate biscotti. 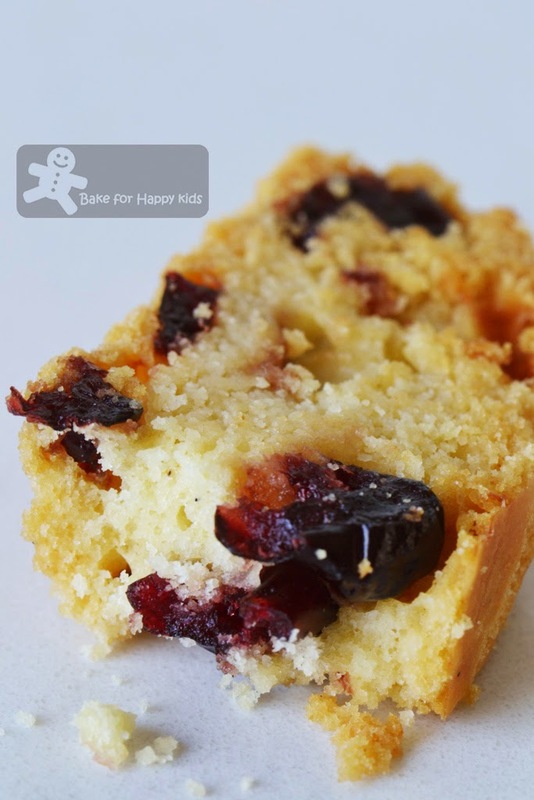 Buttery dried cranberry white chocolate biscotti... Yum! ... plus heaps of cranberries! I think that the layer of egg white helps to keep the biscotti well in shapes. After the second bake... Spot any difference? Can't tell by eye but can tell by their crispness! Cooling the biscotti completely before coating them with melted white chocolate. Wait again? The chocolate needs some time to set. Can't wait... Must have one now!!! With or without chocolate, this is so yum! Preheat oven to 350°F or 180°C or 160°C fan forced. Combine flour, baking powder and salt in medium bowl; whisk to blend. 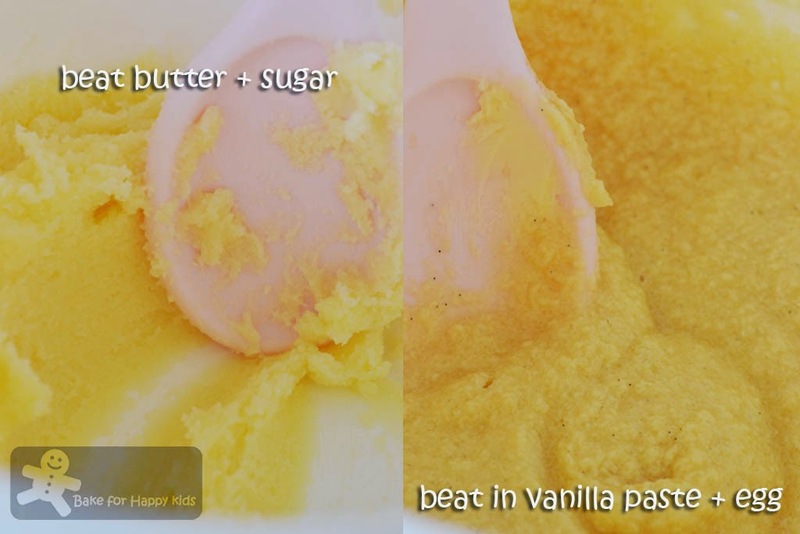 Using electric mixer, beat sugar, butter, eggs and vanilla together in large bowl until well combined. 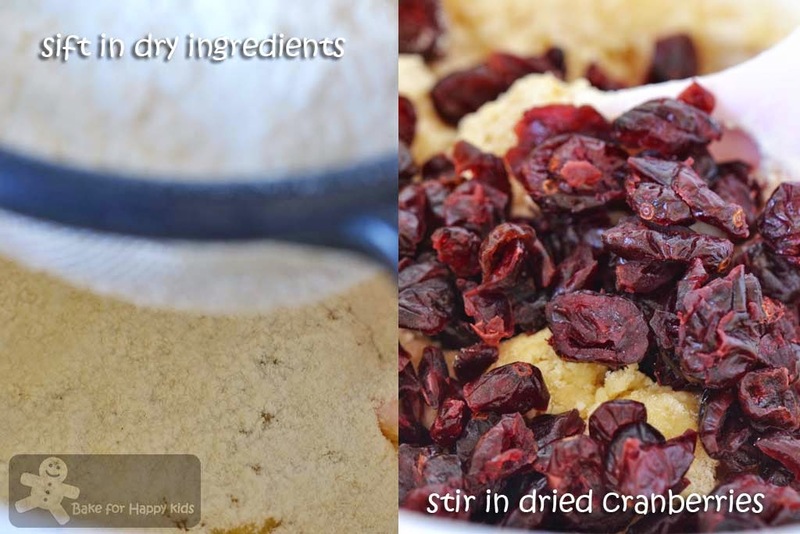 Mix in flour mixture, then dried cranberries. Divide dough in half. Using floured hands, shape each piece into 5 cm wide and 2 cm tall long log shape. Place the logs to prepared baking tray, spacing them evenly. 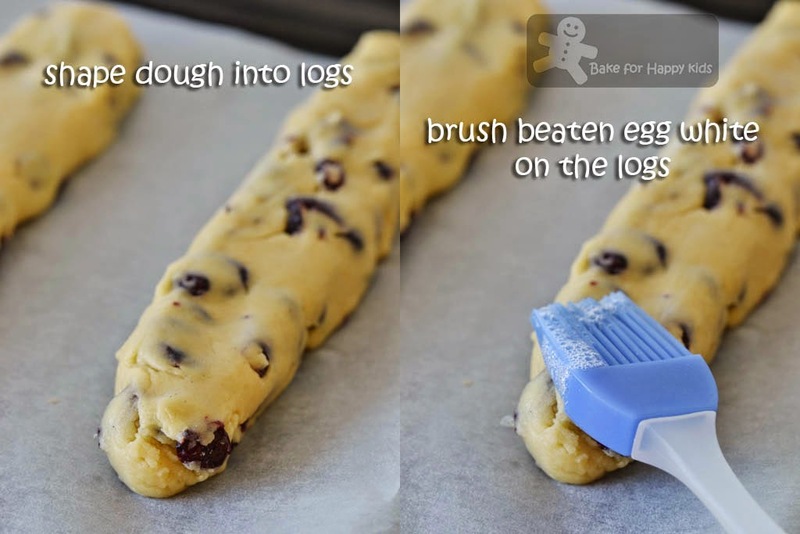 Whisk egg white in small bowl until foamy; brush egg white glaze on top and sides of each log. Bake logs until golden brown (logs will spread), about 30 mins. Cool logs at least 30 mins on the tray on a rack. Maintain oven temperature. Using serrated knife, cut logs on diagonal into 1 cm wide slices. You will get larger biscotti if you cut the log in a more diagonal angle. Arrange slices, cut side down, on same sheet. Bake 10 mins; turn biscotti over. Bake until just beginning to color, about 5 mins. Transfer biscotti to a wire rack to cool completely. Using a microwave with low power or a double boiler over simmering water, melt chocolate until smooth. Dip one side of each of the biscotti into the melted chocolate and place it on a baking paper. Wait for the chocolate on the biscotti to set, about 30 mins. Serve. Your first picture looks so nice and pretty, with the cute lil white chocolate tip.. Love it.. My colleague gave me some dried cranberries last month and I'm still munching on them now.. Love them.. Once started cant stop, hehe..
Hi Zoe, oh no! ... you're 'killing me' ... with chocolate coating. 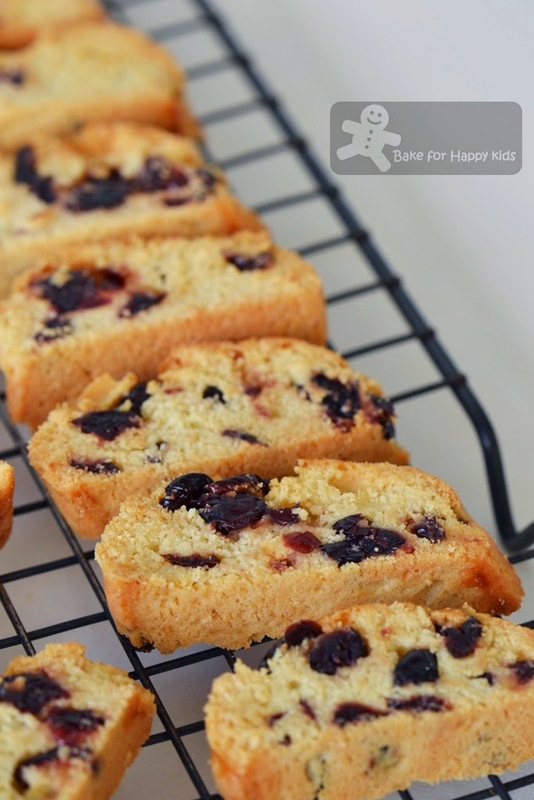 Can't resist your buttery cranberry white chocolate biscotti ^-^! I love these chocolate biscottis! Look amazing!!! 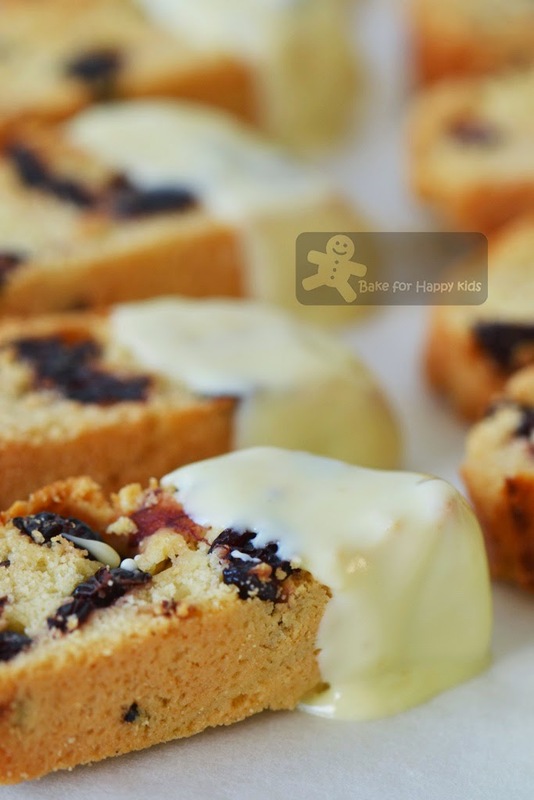 Biscotti coated with white chocolate, looks so yummy! And I enjoy eating biscotti, that I have made a few variations! Very posting is so yummy and delicious. Wishing I could be your next door neighbour. Zoe, there is no shame with butter! hah..hah.. I have not eaten biscotti before and today I see so many biscotti recipes. Must try! Hi Zoe, your biscotti looks absolutely delicious, dipping them in white chocolate make them look very festive! This biscotti is just yum, more so with the white choc coating! 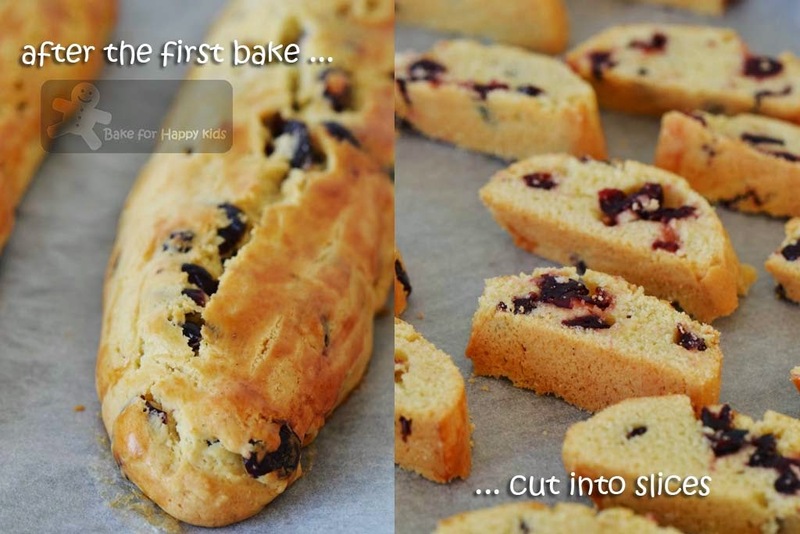 I love biscotti...well i love to eat them ;-) have never tried baking them till now. I keep thinking i'll wait for a special occassion before baking something new....Christamas is the perfect time for that I guess....I love yours with the cranberry and white chocolate...a perfect combo! i nvr tried biscotti with butter as this is my first time making it..but i know phong hong will sure love these...LOL! she is a butter woman! Hi, Z. Can you believe I've never made biscotti? I think I'm afraid I'll eat it all! These look KILLER good, especially dipped in chocolate. I am not often a fan of biscotti, but with a combo like this, it is a wonder how I could not be right? :D Delicious recipe! These look fab. I'd love to have one with my morning coffee today. I bet the cranberries give them a nice tang. Biscotti look so delish. I wish I could grab some.. Very hard to resist.. These look awesome! I have a friend who makes amazing crisp biscotti biscuits and I really need a recipe for some! I'm happy that I'm the lucky winner and I've replied to your email. Cheers! My first thought when I saw these biscotti was, I need some earl grey tea! YUM!